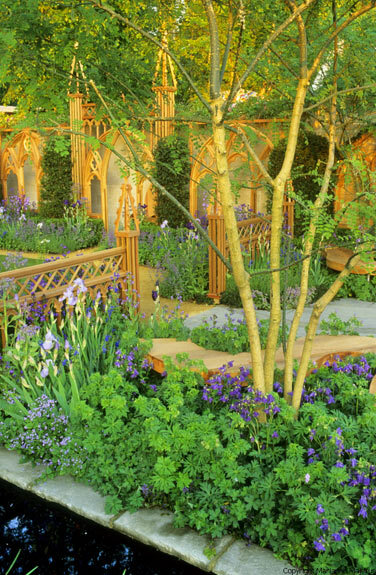 Bunny Guinness Design Ltd is a Landscape Architecture practice that specializes in creating gardens and spaces that exploit the potential of the space and are tailored to the clients needs. A diverse range of projects are worked on including commercial schemes and private gardens ranging from small city plots to extensive estates. Many schemes are in the UK but work is also carried out in Europe and Asia. Bunny works together with her daughter, Unity, who has a degree in Landscape Architecture. The budget involved may be large or miniscule employing landscape contractors or with the client carrying out the work. Whichever route is taken it can be highly successful if there is a cohesive masterplan. In order for this to evolve efficiently it is usually recommended that an initial day is spent with the client(s) on the project design together with Bunny so a wide range of ideas and solutions can be worked through while on the site in question. Most clients find this extremely useful as the process allows full input from them and illustrates exactly what may be possible. This initial day consultation may be used just to solve a particular problem, as a stand alone service to produce a masterplan for the site or to 'kick start' a large project. See 'Day Consultation' for further information and an example of a 'day' project.